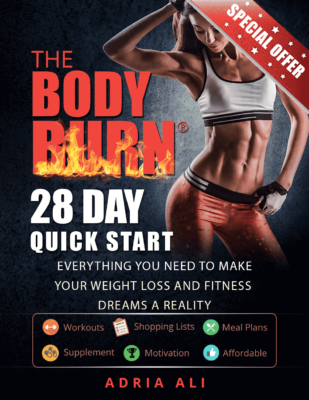 If you’re tired of your old gym then maybe it’s time for you to look into some new ones! David Barton owns gyms in New York, Miami, and Chicago. Now, he’s venturing out into LA, Las Vegas and Seattle. According to his advertisements, he says “Hire one of my trainers, and the membership is on me.” WOW, that sounds like a good deal. When viewing the website for his gym; the gym appears to be very modern and very high end. It’s been featured in Vogue, Glamour, People, The New York Times, and more! 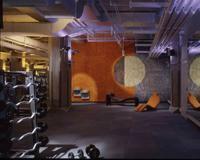 If you would like to read more about this new chic gym then log onto www.lookbetternaked.com. DBG is fantastic! I love the lighting, cleanliness, and coziness of this gym. The staff members are friendly. It’s never very crowded. It’s sooo clean! The locker room products, bumble & bumble, are such a convienence. I never have to wait to use the equipment. It’s literally a second home to me! I sampled other gyms but nothing came close to the one. I highly recommend this gym…don’t be intimidated by the ads! My sales person, Jeff, was amazing, friendly, and just downright cool! finally, a gym that appeals to my senses AND my needs! first, floor to ceiling windows, offering a view of open air and water welcomed me. the feeling continued when i was greeted by the first staffer at the check in desk, and then by erik mejia, who was informative, not high pressure, and super friendly without being weirdly familiar. the lighting: low enough to be calming, but not so dark to be dungeon like. olfactory:great! no old gym shoe/chlorine aromas. music: just loud enough to provide rhythm without drowning out conversation. locker rooms: clean, dimly lit, with an aromatherapy room and sauna, shampoos,lotions, towels all provided. my trainer, mike, was amazing. low key, addressed all my specific concerns with a well rounded, full body workout that left me well educated and nicely exhausted. i can’t say enough good things about him. machines: plentiful,clean and well maintained, tons of free weights as and a great range of cardio choices. a huge variety of classes in pilates, yoga, spin, etc. are available. for ambiance, attitude, and performance, i couldn’t ask for more. plus, after you’ve worked out, you can sink into their cushy chairs and spend some time just letting the view do its wonders. You NEED to avoid this ‘gym’, its more style than substance and they really don’t care about their members. When they debited my account for two months after they said they wouldn’t, the manager Heather didn’t call me back like she said she would………..then promised she would before she left for the day, then went home anyway. A staff member said she would be in the next day, then she never showed. I tried to make a complaint to the corporate office and a staff member said they were under strict orders not to give a member the email/phone/ or address. Then another manager made a promise that he would have someone from the corporate office, and they never did.